Telltale Games has released some of the first images of their take on the iconic DC Universe super hero, Batman. The upcoming Batman: The Telltale Series will feature several recognizable voice actors as well, including Troy Baker from The Last of Us and Uncharted 4 taking on the lead role as Batman and Bruce Wayne. IGN picked up the new screenshots, which you can check out below. The screenshots show Batman and Catwoman together. 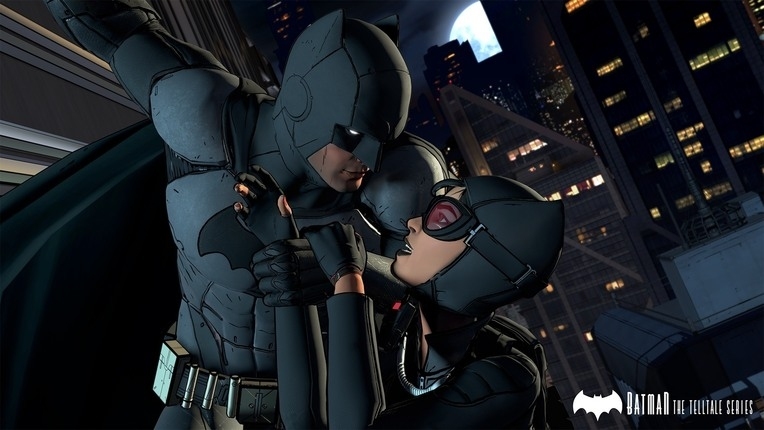 As mentioned, Troy Baker is voicing Bruce Wayne and Batman while Laura Bailer -- one of the stars of Tales From The Borderlands -- will be voicing Selina Kyle/Catwoman. The IGN article also mentions that Travis Willingham from Ratchet & Clank will voice Harvey Dent, who will presumably become the villain Two-Face. There's also Erin Yvette from the game Oxenfree who will be voicing Vicki Vale, along with Murphy Guyer from Red Dead Redemption voicing Commissioner Gordon, Richard McGonagle voicing criminal mastermind Carmine Falcone, and Enn Reitel from Metal Gear Solid 4 taking on the role of Alfred Pennyworth. Circling back to the images, they finally reveal the kind of art-style that they're going to be focusing on with Batman: The Telltale Series. They mention that it's going to be a style that is considered to be a living comic book. 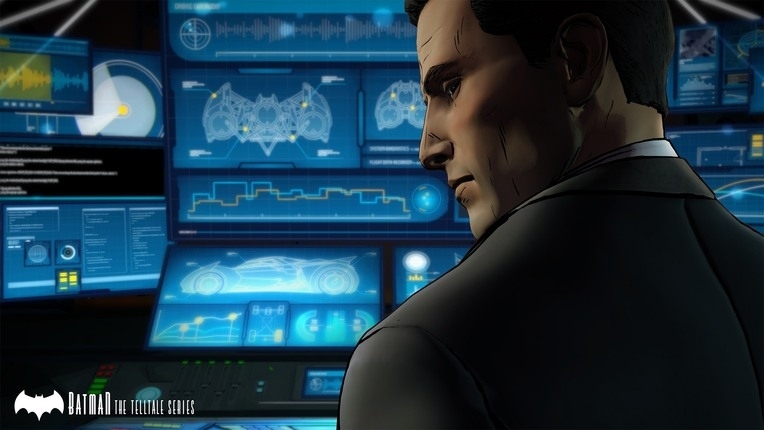 Batman: The Telltale Series uses an inked outline look that really does appear to bring the comic book style to life. We get our first look at Batman: The Telltale Series' armor design, and it appears to be a mix of the old-school Batman fused with Rocksteady's Batman: Arkham series depiction. You can see that he's decked out in the gray and black getup, but it's clearly armored. I do wonder if this will play a part in the game's story? Like is the armor bulletproof and will this be addressed? Or is the armor a light kevlar and just slightly bullet resistant? Usually the armor itself that Batman wears plays a part in the game's story, so we'll see if Telltale integrates that into their game. 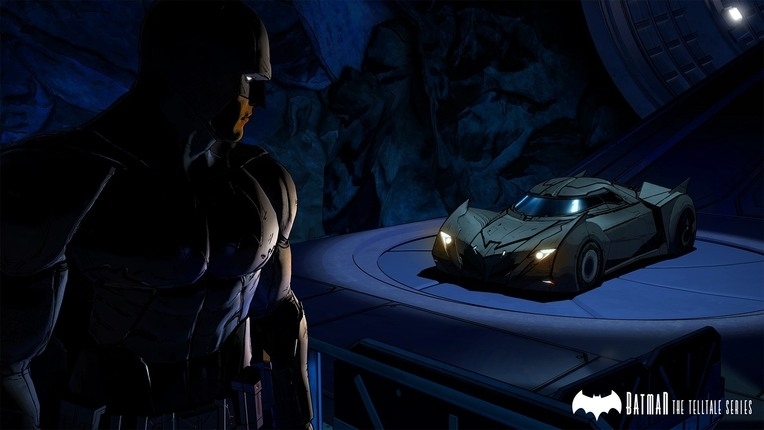 The images also reveal Telltale's interpretation of the Batmobile. We see that it's a much smaller, more compact vehicle in comparison to the depictions of the vehicle in games like Injustice or Batman: Arkham Knight. It looks more like an armored sports car in this rendition as opposed to the more stylized armored carrier looks it's been given in recent movies and games. Although, in Batman v Superman the Batmobile is also a compact but heavily armored vehicle. 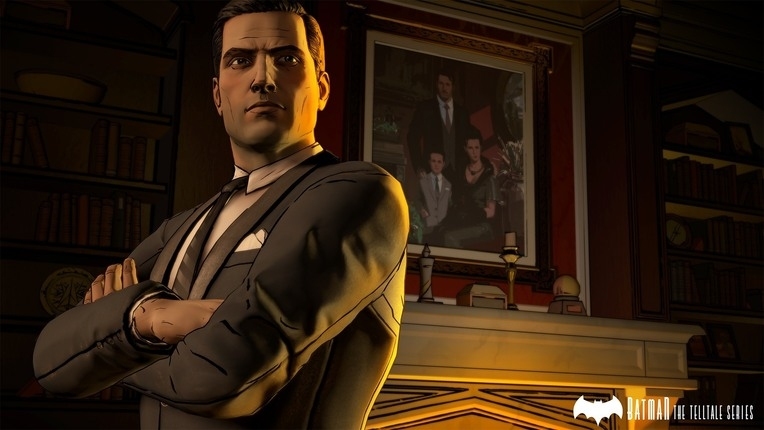 According to Kevin Bruner, the co-founder and CEO of Telltale Games, players will have to navigate a "complex drama" involving both Bruce Wayne and Batman. Batman: The Telltale Series is scheduled to make its appearance on home consoles and PC this summer. We still don't know exactly who all the villains will be in the game but I'm sure they'll reveal more on that throughout E3.